In 2018 we saw the telecommunications industry generate some pretty innovative trends and thought-provoking headlines. 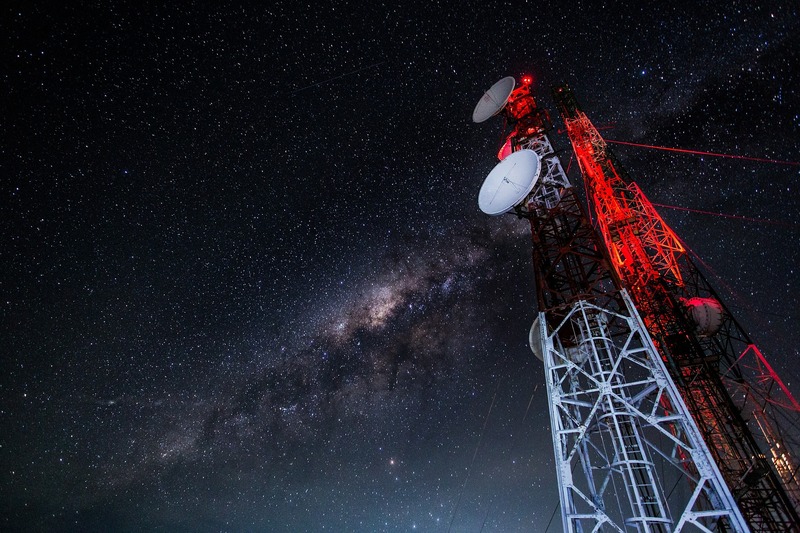 Telecom industry experts share their 2019 telecom predictions. Please note that the views and opinions expressed in this article do not represent nor do they imply endorsement of my personal views or my employer’s views and opinions. They are unique and independent to the individual contributors listed as the statement’s source. There will be a race to see who can market 5G the quickest and who will have it as standard first. We’re already seeing tests from multiple providers across the world in isolated areas, and the speed and size of rollouts will only increase as providers look to gain the upper hand. However, this race could be a costly one. Consumer need for 5G isn’t as great as it was for previous generations. 4G can handle most consumer use cases (such as streaming, gaming, browsing etc.) fairly comfortably with reasonable speed. 5G’s main benefit is providing increased capacity, not speed and latency, making it more of a technical development. Being the first 5G standard network will be a marketing coup, but may not come with the consumer kudos and demand it once did. We’ve seen fixed wireless technology evolve and improve drastically over the last decade, concurrently beginning to debunk “wireless anxiety”. During the Federal Communications Commission’s (FCC) CAF II Auction in 2018, we saw federal acceptance and adoption through the distribution of significant funding to WISPs, such as GeoLinks. This culminates to my prediction that in 2019 I believe we will see a drastic spike in both businesses and community anchors being connected via fixed wireless. While I do think fiber will still remain top of mind for many key stakeholders, I foresee anchors, rural health care facilities as a specific example, better understanding that EoFW is the most cost effective and time efficient way to get these critical care facilities the speeds they need. Taking guidance from both the FCC and overall industry adoption, on a state level I predict that those governing RFP fund distributions will also be more open to fixed wireless solutions. This will directly result in the United States making substantial strides in closing the digital divide. Hosted VoIP phone systems are the hottest thing right now in telecom. Even the SMB and Medium size businesses are starting to become aware of what it is, and to gravitate towards it. In years past, we would spend most of our sales pitch educating customers as to what it is, how it works, and why they should use it. In recent months, customers already are aware and ready to purchase immediately. The sales cycle went from multiple meetings to single meetings now. It has become one of the hottest products we sell. Going into 2019, it’ll only become even more “standard knowledge”, which means the competition in the hosted VoIP market will heat up. I predict several of the biggest names will start to buy the competition out and a true industry leader will emerge. This will have to happen as the top companies now will start to rely on their current growth models and will need to find ways to replace the lost growth as competition gets bigger. Only two areas in the telecom/networking space deserve the attention they are getting: 1] edge computing/edge networking and 2] Artificial Intelligence (AI). Edge computing/edge networking is needed to off load the processing that takes place in cloud resident data center computers and also to reduce latency for critical real time control applications (especially for IoT). AI and deep learning will be embedded into software-defined architectures in telco networks and the cloud to do analytics, predict failures, and move a lot of the human manual processes into automated operations. The long-term goal is to move from automated elements to closed loop automation and finally to autonomous control of networks. I believe AI will be critically important to progress emerging telecom services and enabling new ones. Examples include: 5G, Industrial IoT, autonomous vehicles, Augmented Reality/Virtual Reality, etc. It will be also very useful for more mundane things, like keeping up with WAN and Internet bandwidth demands due to increased video streaming by cord cutters and pay TV customers (like this author) that increasingly stream sporting events (e.g. MLB TV, NBA League Pass, NHL Center Ice, boxing, etc). All the other new technologies are hyped to the infinity power and headed for a train wreck. That’s especially true of 5G, but also includes “Software Defined” networks (SDN and SD-WAN), Network Function Virtualization (NFV), and LPWANs for the Internet of Things (IoT). All those suffer from the lack of inter-operability which is due to either the lack of standards, too many specs/standards (LPWANs) or proprietary implementations (e.g. SDN from AT&T, Google, Amazon, Microsoft, etc are not interoperable with each other. They each use different specs, with many being proprietary while others are based on open source software). None of them will make much money for any company in the coming year. Perhaps a few SD-WAN start-ups will be acquired and investors in those companies will profit, but that’s about it. In my opinion, the pre-IMT 2020 standard 5G networks (both mobile and fixed “fake 5G”) will have few takers in 2019 and network operators deploying them will lose a lot of money. Those “5G” networks will all have to be redesigned and re-architected after the ITU-R and ITU-T 5G standards have been completed in late 2020 or early 2021. It could be a forklift upgrade, depending on the final IMT 2020 standard for Radio Interface Technology (RIT) chosen by ITU-R WP 5D and the non radio related IMT 2020 standards being progressed by ITU-T.
For enterprises, 2019 isn’t a forecast of all doom and gloom. The year will also bring freedom from the persistent “last-mile” telecommunications problem. With the advancements in LTE, the technology will finally reach a point where the physical cables that connect end-users to their Internet Service Providers will no longer be a necessity — or a handcuff to a particular ISP. The “last-mile” problem has long been the most critical and most costly component of an ISP’s network, as well a speed bottleneck. But now, on the heels of widespread adoption, LTE will allow enterprises to forego the last mile of physical cable for a reliable and robust connection. Making smart products, IoT devices, is the new product differentiator — today, even ovens have IP addresses. Companies that have been investing in IoT initiatives understand that the IoT gateway layer is the key that unlocks a high return on those IoT investments. IoT gateways manage device connectivity, protocol translation, updating, management, predictive and streaming data analytics, and data flow between devices and the cloud. Improving the security of that high data flow with a Zero Trust security model will drive enterprises to replace VPNs with micro-perimeters. Micro-perimeters remove an IoT device’s network presence eliminating any potential attack surfaces created by using a VPN. Likewise, many organizations are pursuing a hybrid strategy involving integrated on-premises systems and off-premises cloud/hosted resources. But traditional VPN software solutions are obsolete for the new IT reality of hybrid and multi-cloud. They weren’t designed for them. They’re complex to configure, and they give users a “slice of the network,” creating a lateral network attack surface. A new class of purpose-built security software will emerge to eliminate these issues and disrupt the cloud VPN market. This new security software will enable organizations to build lightweight dynamic micro-perimeters to secure application- and workload-centric connections between on-premises and cloud/hosted environments, with virtually no attack surface. In terms of widespread internet connectivity, the low-hanging fruit has long been picked. To achieve a complete mesh across the state, and thereby to include all of our communities and lift all boats, private-sector technology companies will need to work more collaboratively with government and nonprofit community organizations to approach an underserved geographic region with a comprehensive strategy that stitches together fiber, fixed wireless, unlicensed spectrum, TV whitespace, and more. We can no longer deploy in a series of one-offs if we are ever to serve some of the hardest to reach places. The Internet has grown remarkably over the past few years and as a result we now have over four billion people online. The Internet will continue to grow at a remarkable pace to meet the requirements of broadband, mobile, and Internet-of-Things (IoT) growth, and this will only increase pressure on Internet Service Providers (ISPs) to deploy the next version of the Internet Protocol (IP version 6, or IPv6) — just as many broadband and mobile providers have already done today. The good news is that the IPv6 transition happens in the “lower layers” of the Internet, so this behind-the-scenes upgrade to the Internet will continue to happen without any noticeable change for Internet users. [In 2019] only about 5 viable general-purpose public cloud vendors will survive. This is because successful public cloud vendors will need to spend a lot of money, and few can afford to spend as much as the Top 2 — AWS and Microsoft Azure. [Furthermore] Public and private clouds will be much more accommodating of each other. More and more of the services provided by a public cloud vendor, such as their AI services, will become accessible to apps running elsewhere, including on private clouds. At the same time, there will be more and more examples of private cloud capabilities extended to the public cloud — such as VMware Cloud on AWS. Finally, federated orchestration and management of workloads across private and public clouds, all from a single, easy to use, portal will be commonplace. 2019 could be a turbulent year in the telecom/broadband space. If the FCC approves the proposed Sprint/T-Mobile merger, and if the court allows the AT&T-Time Warner merger, that could encourage even more consolidation in the marketplace. Of course, more consolidation among big players also opens up more opportunities for smaller, more nimble players to increase their market share. But there are increasing signals of an economic slow-down in 2019, which could mean belt-tightening and reduced investment by all players. The tariffs on Chinese-made equipment could mean increased prices for telecom gear, which could also lead to a pause in network investment. These trends may give a boost to the idea of a grand broadband infrastructure spending bill that both the President and Hill Democrats are trying to get in front of (assuming the government shutdown does not ruin the chances of bipartisan agreement forever.) Such legislation would only have a 30% chance of enactment but could be exciting to watch, as there are so many industry players that could benefit from government funding, especially in rural markets. I expect net neutrality to continue to percolate because the court is likely to remand the case to give the FCC another chance to justify its decision. Congress could and should step in, but there is no sign of compromise on the issue and likely will remain gridlocked. For anchor institutions, work will continue to get the E-rate and Rural Health Care programs running smoothly, but I do not anticipate major structural changes.